AIM is a young specialty that is rapidly expanding and evolving to become. We have set up a nationwide mentoring network to provide guidance and support. The takeAIM campaign is a Health Education England-funded, trainee-led initiative to help promote Acute Internal Medicine. It is supported by the Society for Acute Medicine. takeAIM fellows are a group of acute medical registrars who work together to promote Acute Medicine. Here are their stories. What is a takeAIM Fellow? 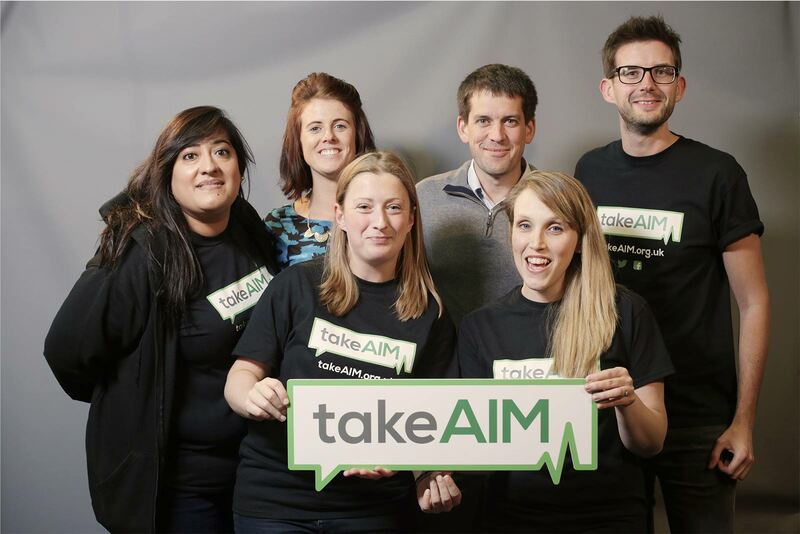 The takeAIM initiative was established to raise awareness of acute internal medicine (AIM) and encourage junior doctors and medical students to consider a career in AIM. As a takeAIM Fellow you will join an enthusiastic and hard working team to develop exciting initiatives to promote takeAIM. Who can be a takeAIM Fellow? Any Acute Internal Medicine Specialty Registrar in England can apply to be a takeAIM Fellow. The fellowship is completed during training, it will not prolong your time to CCT. You will be entitled to one SPA per week dedicated to takeAIM in addition to other agreed SPAs, which needs to be approved by your TPD when applying. Interested in being a takeAIM Fellow? The career prospects for AIM are almost unrivalled. The 2015 census conducted by the RCP London shows Acute Medicine having the largest increase in consultant posts, with a dramatic 33% expansion. Over the last 12 years we have seen significant changes in the way acute care is delivered and in the team that delivers it. The presence of Acute Physicians in hospitals with unscheduled care has been shown to reduce mortality risk and the length of stay while in hospital, without increasing readmission rates. AIM physicians provide initial assessment, investigation, diagnosis and management of patients who have an acute medical illness within the first 72 hours of their hospital stay. If you enjoy a wide variety of medical challenges, a fast paced environment and love working as a team then Acute Internal Medicine is the specialty for you!